'Tis the season to be jolly, and that means making your home into a festive wonderland. Hang the tree with baubles, and string the walls with tinsel. And of course a gorgeous Christmas wreath for the front door! 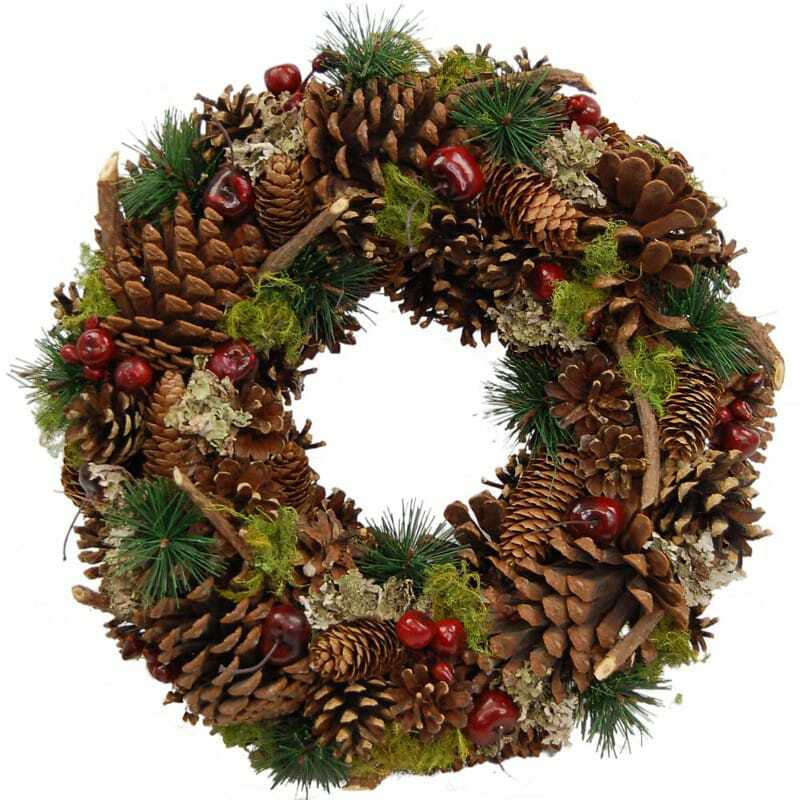 Here at Clare Florist, we’ve got a great selection of Christmas wreaths for your home, for only £28.99. All three of these beautiful wreaths are full of the festive spirit, perfect for lighting up your home this Christmas. The Yuletide Christmas Wreath is our most traditional wreath. In forest green with rustic brown pine cones and rich red artificial cherries, this is the ideal decoration for a traditional family Christmas, with all the trimmings. Want something a little more glamorous? The glittery red Festive Joy Xmas Wreath is your friend. This vibrant red bouquet features a traditional red and green colour scheme, livened up with liberal sprinklings of glitter. A bright Christmas treat which is bursting with Xmas cheer.